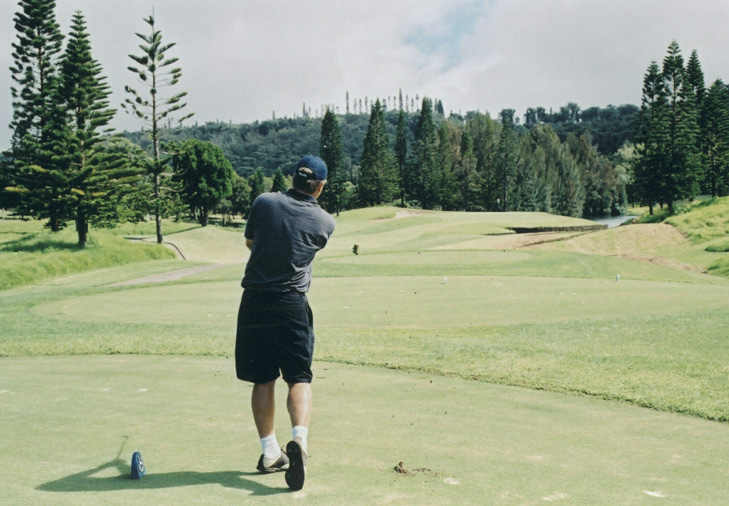 The Experience at Koele Hole 3: This par 5 is a good test of the golfer’s skill from tee to green. Lakes come into play on all three shots, with the masterpiece being the green complex. The water starts behind the green with a waterfall that cascades into a pool to the right of the green, which cascades again into the main lake right and in front of the green. This leaves very few friendly pin placements. The Experience at Koele Hole 4: The 4th is not particularly special or fun, but it is long and difficult, requiring precision to land a shot on the green between the large sand traps. 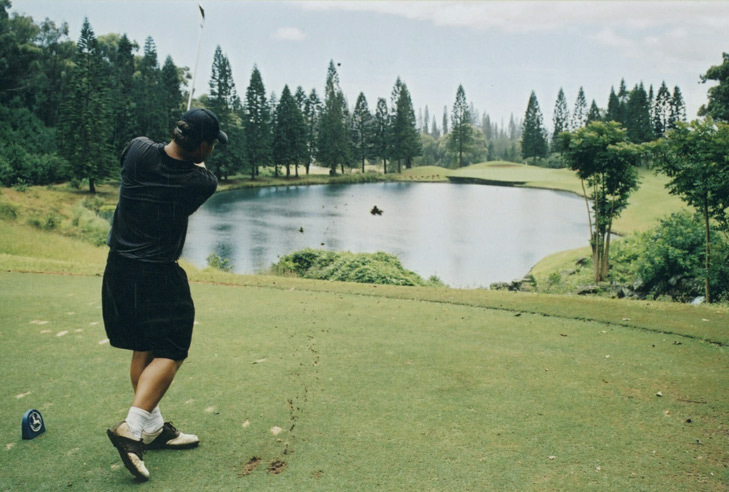 The Experience at Koele Hole 6: The 6th is a tough driving hole as it is long and has a lake to contend with right and heavy grasses and bushes to the left. If that can be negotiated, the approach is reasonable. The Experience at Koele Hole 7: This par 3 is a difficult hole. There is a lake that covers the entire right side of the green, leaving no room for error. 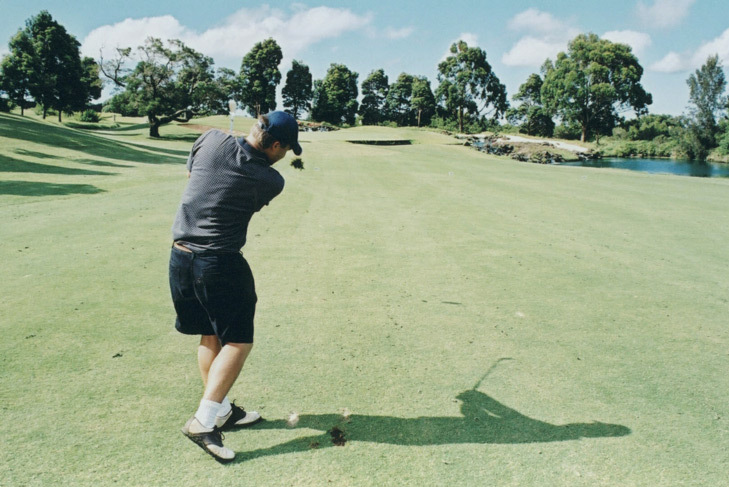 However, anything hit left will either be in a large sand trap, or on a hill behind that, having to negotiate trees, while the chip will be heading towards the water. The Experience at Koele Hole 8: This hole with a large island green is drivable, but the drive better be perfect to avoid the water. The safe play is a mid iron to the two-tiered fairway, which will leave just a wedge to the green from a good angle. 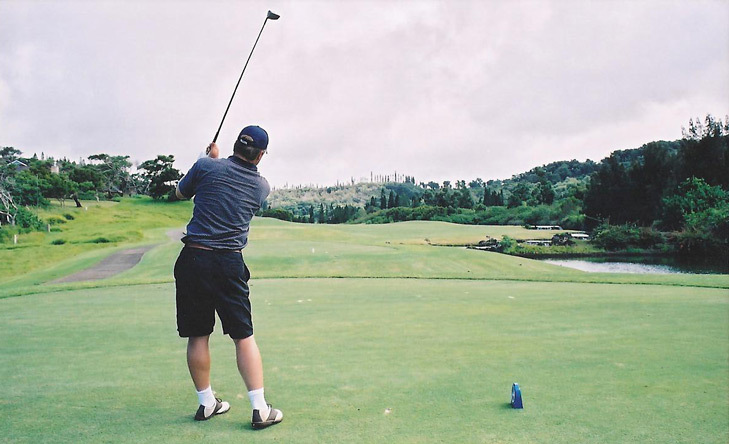 The Experience at Koele Hole 17: The signature hole is played from a massively elevated tee to a very narrow fairway with a lake to the right and jungle to the left. 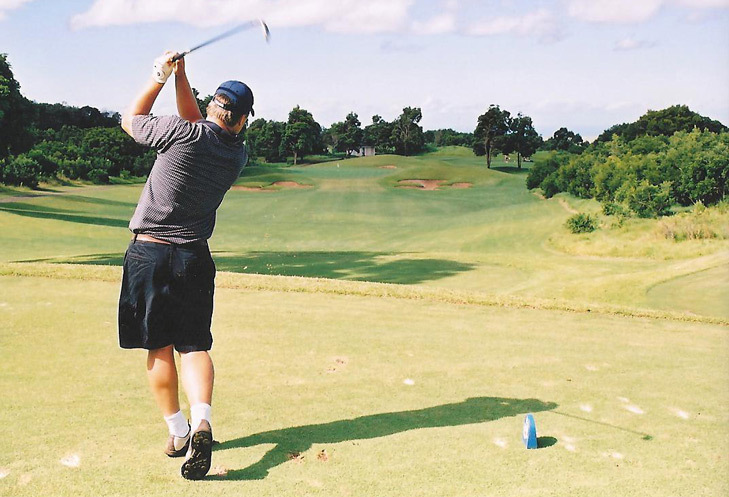 If the drive can be mastered, the approach is to a wide, two-tiered green with a huge tree to the right that will nab anything pushed even remotely that way. This is a very difficult hole that requires good shots all the way. 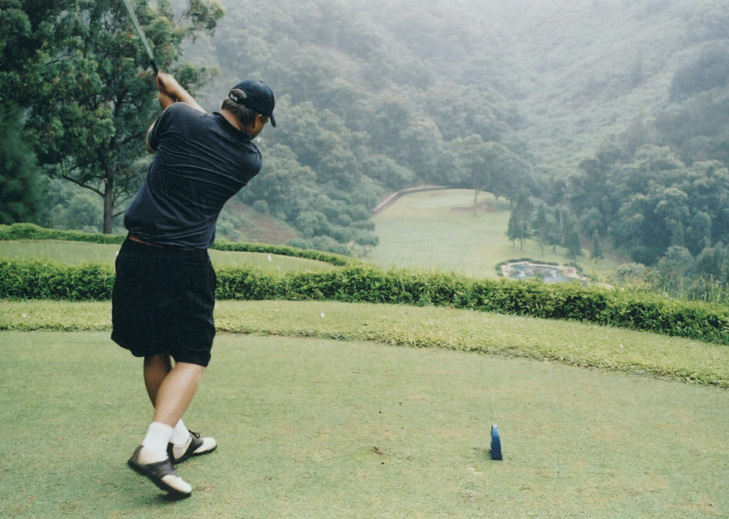 The Experience at Koele Hole 18: While it’s not normal design to finish with a par 3, the 18th is such a good par 3 that the rule can be forgotten. Over water the entire way with bunkers right and long and a steep hill left, the last shot of the day had better be precise. You've read 1/2 of all the Lanai Golf Reviews. Try the Challenge at Manele Golf Course Review Next.